This morning, at the coffee corner in our office, I met a colleague who mentioned he'd be joining a chess club. So I asked him: "And, how was your first evening at the chess club?" "Well, it was a rather short one. ", he replied, looking rather sad. "I had the black pieces. 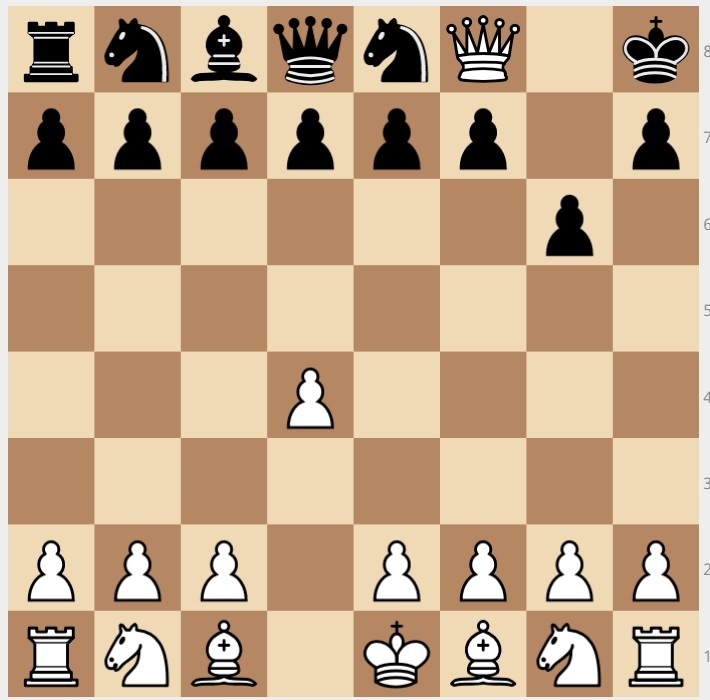 Because I was new, my opponent let me make three moves for free. You told me king safety is important, so I first concentrated on getting my king into safety in the corner. However, after we both made three more moves, I was still mated on the next move." I thought back to when I showed him the smothered mate. I said: "King in the corner, let me see... did you let your king be smothered perhaps?" "No, my bishop's pawns were still in their original positions. I still had all my pawns, for what it's worth." This puzzle is an entry in the Fortnightly Topic Challenge #40: Retrograde Analysis. Mate in one with NO PIECES?